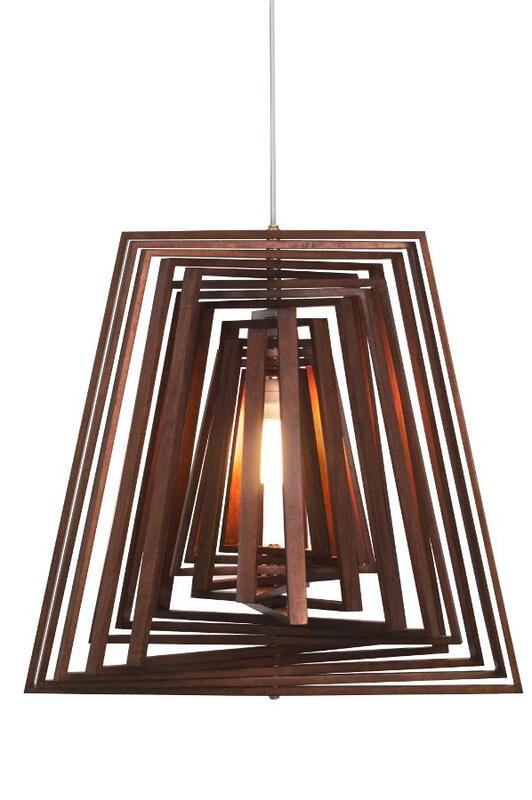 Twist is a best-selling lighting fixture from the creative mind of Vito Selma. All the wood pieces easily move so the owner can create a cage-like effect or a more closed piece. The reflections of light, whether the bulb is an Edison or incandescent, are dramatic. A commanding light for a special place.